My name is Mrs. Beshirs. I began working at Justiss Elementary in 2003. I worked as a life skills teacher and reading coach before becoming an assistant principal in 2015. I feel blessed to work with such an awesome group of people that love helping children. I grew up around Paris, Texas and graduated from Texas A&M-Commerce. I am happily married to Jeremy Beshirs, who is also an administrator in the district. We have been married for 23 years and have two sons, Blake and Kyler. Blake is the oldest and graduated from Paris High School in 2014. 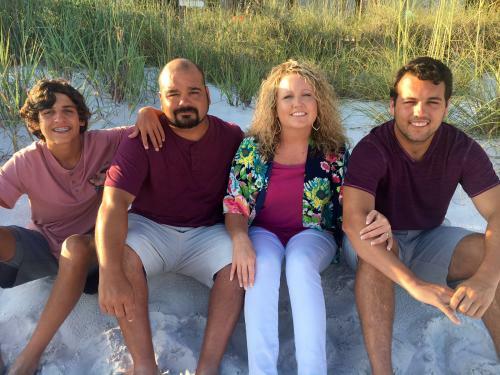 He recently graduated from Ouachita Baptist University where he went to play college soccer. Kyler is a senior this year at Paris High School and runs cross country and plays soccer. In my free time I enjoy attending sporting events (especially when my children are playing). You will see me out and about supporting all students from Paris ISD. Hello, my name is Dustin Smyers, one of the Assistant Principals working alongside Mrs. Elmore, Principal and Mrs. Beshirs, Assistant Principal. I am so glad to be here...actually to be back! I completed my student teaching here at Justiss over 20 years ago in Mrs. Hooten’s classroom and Mrs. Meredith’s classroom. After completing my student teaching and receiving my Bachelor of Science degree from Texas A&M - Commerce, I began working at Chisum Elementary. I was a Reading Recovery, 1st grade, and 2nd grade teacher before becoming their Assistant Principal. While teaching, I received my Master of Education degree from Texas A&M - Commerce. 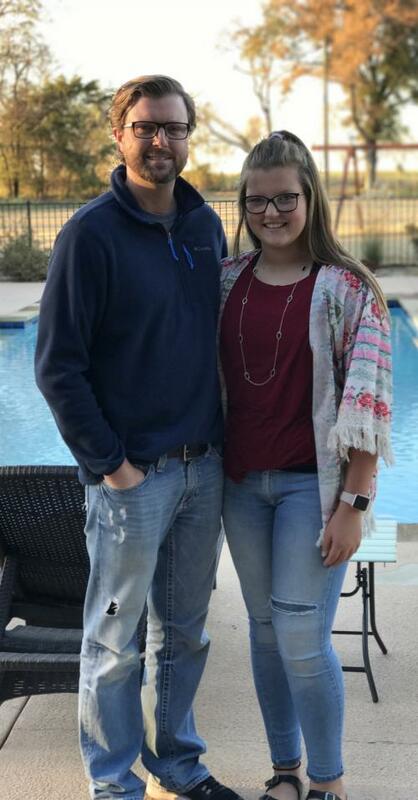 I left Chisum after 7 years and moved to Tyler, Texas, with my daughter, and worked as a school administrator with Tyler ISD at Clarkston Elementary for 10 years. When I moved back to Paris in 2016, I became the Principal at Roxton ISD for 1 year before arriving here at Justiss Elementary. My daughter Emery, who is my pride and joy, is a Freshman in High School. She loves to play volleyball and I enjoy watching her play. She’s a pretty cool kid! My favorite things to do are snow skiing, sitting on the beach, hanging out by the swimming pool, working out on my land, and being with family. I am so excited to be a member at the Justiss team!